“I just want to say one word to you. 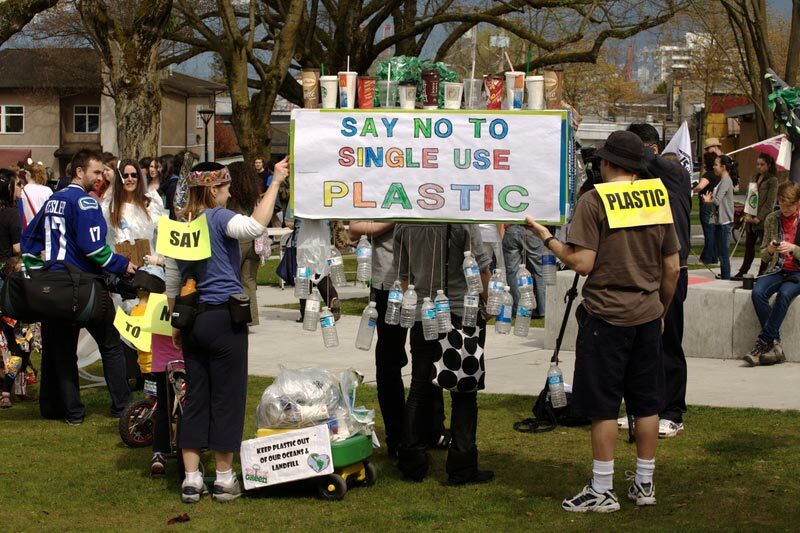 Just one word….plastics." Microplastics are a huge area of study and concern as many of us are very aware. I recently reviewed some of the extensive literature (included in the list of resources at the end of this post) and sketched out where I think the major problems are and what our response as ecological engineers should be. In my view this a classic case of unintended consequences of an industry that had been seduced by the famous line in The Graduate. President Obama made an attempt in 2015 to remove microplastics from soaps, laundry detergent and toothpaste, but the problem is beyond such limited measures. What were the producers and marketers of all that plastic thinking? Where did they think it would go? Groundwater is highly unlikely to be contaminated. However, when wells are connected to the surface via PVC plastic (or other types of plastic), piping may generate microplastics as the result of the flow of water stripping off very small particles at joints and threaded connections. Copper or stainless steel would eliminate the problem…that is, until we get to the faucets, which often use plastics. I suspect that the source of the microplastics found in well water is these small parts in faucets or in the plastic piping. Wastewater and wastewater treatment plants contain microplastics that are primarily generated by washing clothes made of synthetics. The mechanical action of tumbling causes the micro-fibers to break down and shear off. (Patagonia is one company working on a solution.) Most of the microplastics settle out in the sludge or float up to the scum layer. Since sludge and scum are usually land applied as soil amendments, it is not surprising that there is data showing microplastics in soil. Micro-filtration is not typically practiced by large municipal wastewater treatment facilities. Indeed most WWTF in the US (775 cities) are CSO systems, so all of the stormwater which includes tons of microplastics (apparently from automobile tires) is discharged directly into the waters of the U.S. The use of treatment wetlands for wastewater will remove all of the microplastics via gravity settling or filtration (see literature on bacterial and virus removal). Stormwater wetlands will remove some percentage of microplastics, but we need more information to determine precisely how much. I suppose that in a thousand or so years, when we need plastics, we should be able to mine treatment wetlands. Large and small plastics are found in fish, seabirds, whales, shellfish (clams, oysters, mussels are very good filter feeders), and the micro-invertebrate filter feeders eating algae. Microplastics that sink or float are accumulating in the marine food chain. 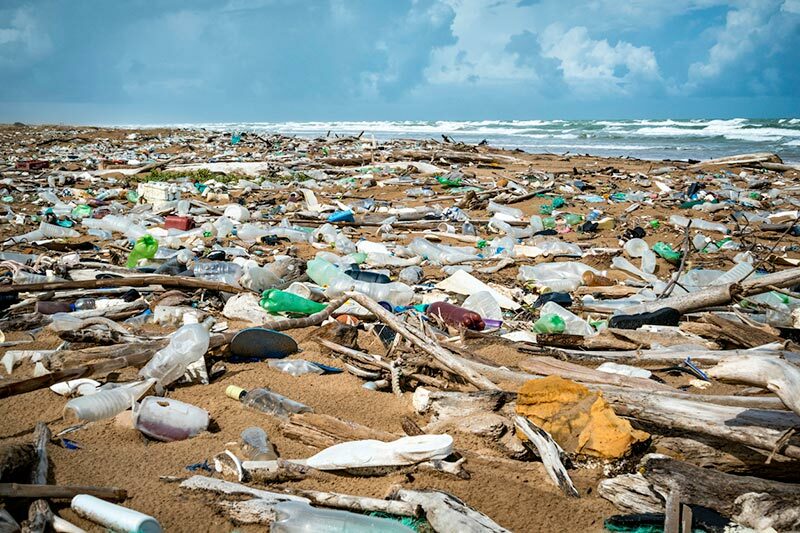 In addition to the simple physical accumulation of plastic in the digestive tract of fish and birds, there is an accumulation of toxins– Persistent Organic Pollutants (POPs)–that coat the microplastics. When ingested by animals, POPs accumulate in body fat and/or organs. Since many of the POPs are carcinogens or mutagens, they may be the real source of environmental degradation in the oceans. -Can the microplastics penetrate the cell wall? -Are there bacteria that can digest microplastics? 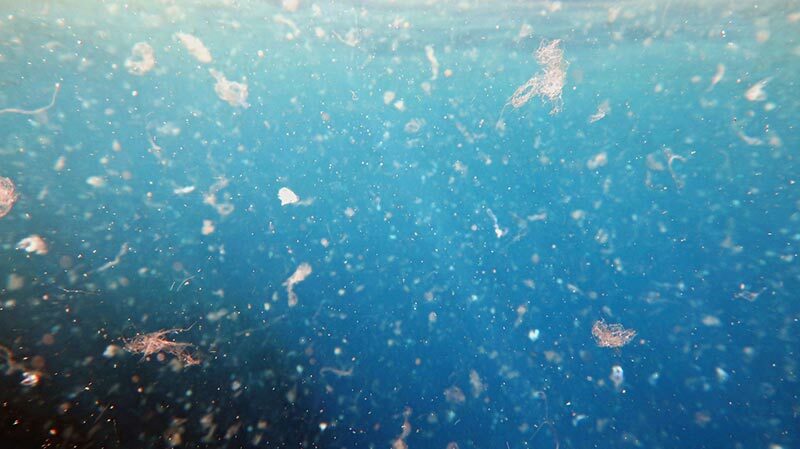 -How does the accumulation of microplastics affect populations of filter feeders in the aquatic environment? Do they reduce the population? -Are microplastics a good substrate for microbial populations? As with microplastics in the water, the accumulation of microplastics in the soil also affects micro-invertebrates, including earthworms and therefore moles, and the predators that eat moles. etc. This sounds remarkably like the DDT story. The effects will be different since the microplastics carry POPs and have a mechanical effect. The good news is that plants cannot absorb microplastics since the openings in the root hairs where nutrients and water enter are even smaller than bacteria and most viruses. So eat your veggies! I did not look at the fate of livestock – meat, milk, cheese, butter, yoghurt. But it is obviously a very interesting subject since it leads to us the question of what happens when we eat plastic. Microplastics will make it thru the stomach since most plastics are acid resistant. But what happens in the large and small intestines? Am I an alarmist? An environmentalist? I had a wonderful clam chowder this weekend at Bodega Bay on the Northern California coast. My water supply comes from 200 feet down, so no worries there. Food is all organic…this is NorCal after all. It is easy to see how some people might view this issue as falling so far down the list of issues (including climate change, species extinctions, mass migrations, etc.) that there is no need to be too concerned. But microplastics are an insidious environmental issue, like DDT, and their effects are probably cumulative, moving slowly up the food chain as you read this. We can actually be very proactive with this issue. Many of you are likely ecological engineers who design treatment wetlands, and if you are involved in wastewater treatment and reuse, those wetlands will be filtering any remaining microplastics from the effluent. Stormwater, CSO, and environmental restoration projects offer the potential of adding to the database and an understanding of what is happening to microplastics. What happens to the oyster population in restored reefs in the Chesapeake? What is the concentration of microplastics in the discharge from stormwater wetlands? And let’s not forget about personal plastic consumption in the home and office.